of individuals in West Omaha, Elkhorn and Louisville NE with various problems. and course work in chiropractic sports training. of an adjustment, without the popping and cracking that is associated with traditional adjusting. If you are looking for exceptional care and a chiropractor who listens to your needs, call (402) 330-8600 today and schedule an appointment. Serving the West Omaha, Elkhorn and Louisville areas! 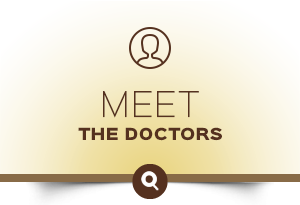 Dr. Dane Becker and his team have years of experience in chiropractic and acupuncture health care. They are passionate about helping patients achieve their health and wellness goals. Get started on your journey to a pain-free life today! Thanks for your help, Dane. I really appreciate you getting me on short notice and for taking time to help me. There is a reason people say you’re the best in town! I have been in constant pain for almost 8 months. One 30 minute visit here and i am now almost 100% pain free. Looking forward to going back and being pain/care free for the rest of the year. Very professional staff and welcoming! Made me feel at ease for my first visit! 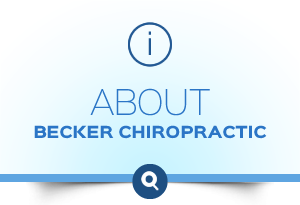 Dr. Becker got me in quickly, when I was having a really stressful week and was in a lot of pain. It made all the difference!! I’m happy Becker Chiropractic and Acupuncture has such a gentle way of adjusting for those desiring gentle and effective adjustments! What an asset to the Omaha community! 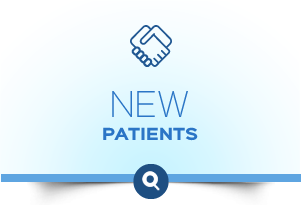 I am very eager to work with Dr. Becker, he is very confident with his work and it is reassuring to have someone tell me I will get better. I feel so welcomed in your clinic. Everyone is so engaging. Love your office. Cozy and warm! Dr. Virgl explained everything in depth and helped me with my immediate pain. Nicole was very polite and found ways I can save money through my health insurance. Great experience, friendly staff, I felt very comfortable. First time ever to chiropractor and I’m hopeful I can get rid of the pain. I’ve had a great experience with Dr. Becker and his staff. They are professional and on time. I’ve also made significant strides in dealing with lingering injuries after getting treatment from them. Keep up the great work! Very friendly staff! Dr. Virgl was excellent and made my pain go away within 2 days! I was very pleased with the treatment I received. I felt better as soon as I left my appointment. Will definitely go back! Nicole and Dr. Becker are both so so kind and welcoming! Good experience, good listener, felt very comfortable. Very welcoming and professional, straight to the point, nothing unnecessary. I’ve always been hesitant to see a chiropractor for my scoliosis. I’ve tried other treatment options and nothing really helped and a few made it worse. I’ve only had my first appointment with Dr. Becker but I am confident that I am now on the correct path to a healthier back. Awesome experience! Dr. Becker listened very closely and provided instant relief. I was so impressed with how much better I felt after the first visit today! Can’t wait to continue treatments and get back to normal! I was extremely impressed with the customer service, and knowledgeable help and information I received here. Five stars. My experience was amazing. I have had shoulder pain for over a year and kept thinking it will just get better over time. It did not improve, so I made an appointment with an orthopedic surgeon. My trainer at the gym said, “don’t do that, go see Dr. Dane, he will fix you.” That is exactly what I did, and two hours later I felt wonderful! Thank you!! You and your team are incredible. I was helped out the first appt. Everything was easy from the scheduling to the appt. Thank you. I’ve known Dr. Virgl since grade school and he was extremely knowledgeable and could easily see he truly cares about what he does and helping people. Nicole is very helpful and is one of the nicest person I’ve met! Anybody looking for a new chiropractor would be foolish not to consider your clinic, not only for the professionalism but also how personable everyone is. Great experience from start to finish. I am confident Dr. Becker is making the right decisions about my care and isn’t doing more than necessary. The front desk staff are friendly and helpful. I have referred others to this practice! Everyone there was very friendly, helpful and professional. Everything was very clean and the appt was on time. Dr. Becker listened to me describing my pain and explained the method of treatment. His care is outstanding. I would highly recommend Dr. Becker for any chiropractic needs! Dr. V was great. He listened carefully and explained himself thoroughly. Nicole is the best receptionist I have ever encountered. Dr. Virgl was absolutely amazing! I will be back! I will tell others! Dr. Virgl communicated well to fully understand my situation and was able to tailor his treatment to match my expectations. The results have been excellent! I’m very pleased with my results. I was in a lot of pain. Dr. Becker promised nothing but delivered great results. He has vast knowledge of how the body works and a keen sense on what to do. Amazing staff. Everyone has been nothing but helpful and has truly cared about my health as a whole. First time to a chiropractor ever! It was a great experience Dr. Becker did an amazing job and Nicole was so friendly. He also gave me some good advice about lifting.